FijiFirst leader Voreqe Bainimarama has stated that the FijiFirst government will not discriminate against anyone. 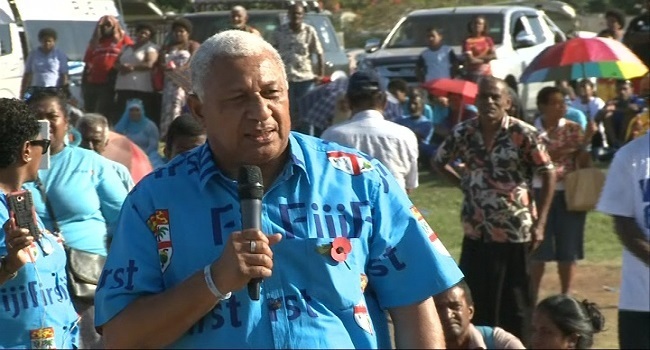 Bainimarama says Fijians should unite despite the poisoning minds who are trying to divide the country. He says we should not judge each other because of our differences but instead become a nation where we celebrate and unite in our similarities. Bainimarama says the FijiFirst government will ensure that Fiji is a better place for all citizens. Bainimarama has urged all Fijians to work together for the betterment of Fiji.